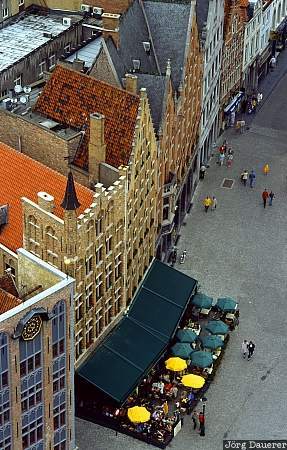 The roofs and typical facades of downtown Bruges seen from the tower of town hall. Bruges is in Flanders in the north west of Belgium. This photo was taken on a cloudy Sunday in September of 1997.